They called her "monkey "
The racist word killed a human being in Fermo, Italy, eight km away from the town I live in with my family. 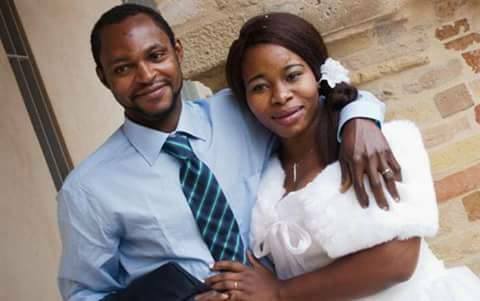 Emmanuel Chidi Namdi and his bride had arrived in Italy less than a year ago. Like thousands of other migrants they landed in Palermo ( Sicily ) by boat. From Palermo they made their way to the central region of Marche and found shelter in a Catholic seminary. They had fled Nigeria, where Boko Haram terrorists had already killed their two year old daughter and destroyed the village they lived in. It was 2.30 p.m. on Tuesday, July 5th. Emmanuel and Chinyery were walking together near the center of Fermo. A group of right wing local soccer fans known in Italy as "ultras" were nearby. According to police, thirty nine year old Amedeo Mancini, who is now under investigation for homicide, insulted Chinyery by calling her " African monkey ". Chinyery was also physically attacked. In the attempt to protect his bride Emmanuel was brutally assaulted. He arrived at hospital in an irreversible coma and was pronounced dead by doctors a few hours later. Despite the never-ending slew of stories of political corruption, mafia and violence that happen in Italy every day, I never give up searching for news that tells about the good side of this country. I learned to love Italy as a child, when my grandfather, an Italian immigrant to Canada, reminisced about his childhood and the beauty of his homeland. I look for positive things to write about and share with people through this blog, to balance the awful events that make headlines from hour to hour. Despite the effort, racial hate and violence continue to scroll before my eyes. They are moving closer, so close that from now on, when I visit Fermo and chance over the cobblestones where Emmanuel died... well, nothing will ever be the same again. Violence is the offspring of hate. Whether it be directed to migrants in Italy, whether it be a police officer in the USA shooting a human being in cold blood, whether it be the devastation of the Brazilian Indios community by part of rich fazenderos or the Inuit population in Canada combatting extreme poverty, amongst other social plagues, racism is wrong. It's that simple. Racism is wrong. As the day unfolds my thoughts and heart go out to a young Nigerian man by the name of Emmanuel. I think of his beautiful wife Chinyery and of their innocent little daughter. Innocent, an innocent family much like all our families, with dreams and hopes that were brutally killed by racism. There is only one "war" humanity should be declaring. That is war on hate and violence. For there is but one race in this world: the human race.